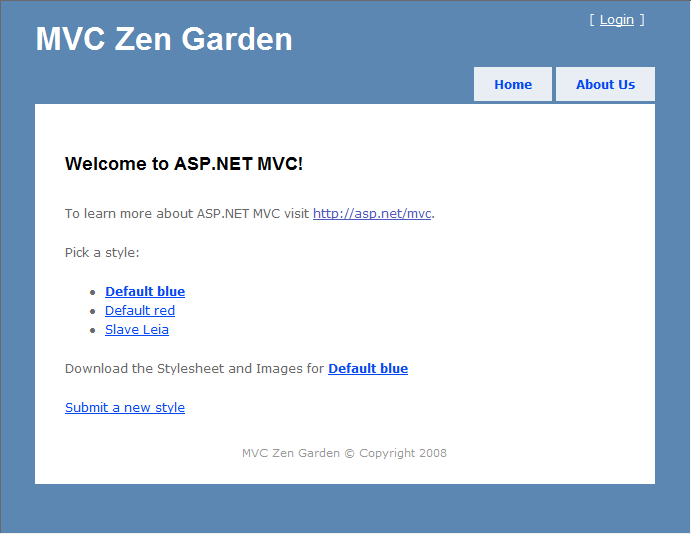 "Create Project > MVC Web Appication"
...you get a rudimentary sample application. It's blue. Simple. Nice enough. 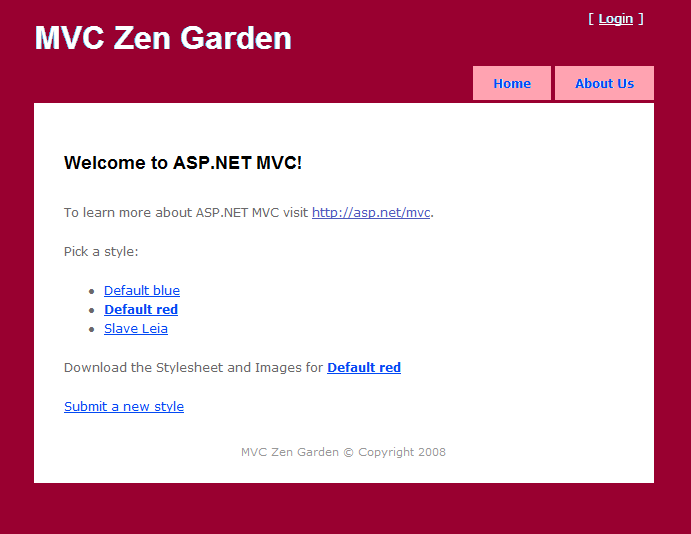 I'd love if there was a website, modelled after CSS Zen Garden, where designers could offer alternative CSS files (with images) for your default Asp.net MVC application. It is exactly like the default MVC app, but it offers a range of styles to select. Once a style is selected you can download the stylesheet and images for that 'skin'. And I imagine that there may be some other slightly more powerful creations. And in time, other great thinkers of our age may be capable of imagining more extreme CSS-based modications. What do you think? MVC Zen Garden... thumbs up or down? There could also be a visual studio plugin that lets you update your own sample app in one click, to any of those available at MVC Zen Garden. I think it's solid. And simple. And has a growing market. I'd implement it but I am swamped in crazy ideas of my own.